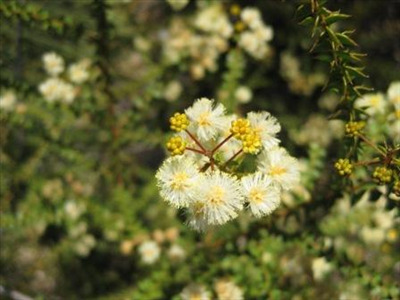 Ornamental shrub 3-6' with triangular shaped leaves and pale yellow flowers in spring. 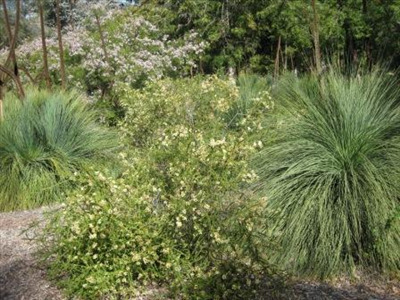 Tolerant of a wide range of soils including wet areas - growing naturally in Melaleuca swamps. Leaves are triangular and deep green. It has fluffy cream flowers. Great container plant or landscape shrub.